We have developed two starter kits for Sketch, one for desktop apps and one for mobile apps. They're both frameworks to quickly build awesome interfaces. That's really what this is. But ultimately, it's a tool that will help you save time and work more effectively with the power of nested symbols, organized typography and shared styles. 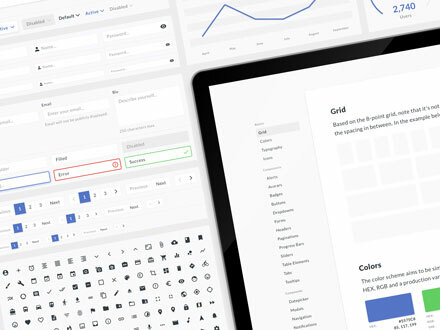 Our desktop starter kit for Sketch with over 200 responsive symbols, 14 flexible charts and an extensive style guide. Great for desktop apps, both native and web. 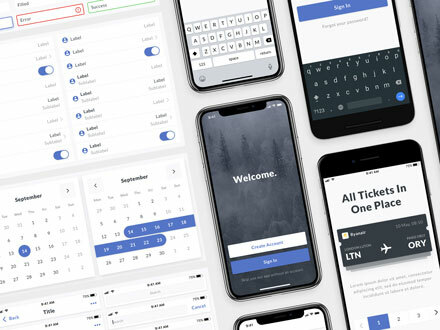 Our mobile starter kit for Sketch with over 250 responsive symbols, 14 flexible charts and an extensive style guide. Perfect tool for iOS, the iPhone X and Android. A marketplace for user interface and user experience designers.